Tracing the Tribe is delighted to announce that our cousin Galeet Dardashti will receive a special award on Sunday, May 16, in Los Angeles. 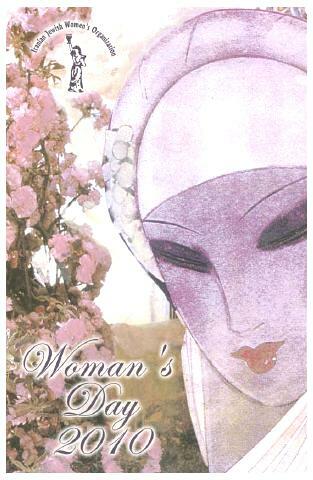 The event, sponsored by the Iranian Jewish Women’s Organization will be held at the Beverly Hills Hotel. I wish it were a few weeks later so that I could attend this wonderful event. The objective of this organization, in addition to its social, cultural and charitable activities has been to protect the dual identity of the Iranian Jewish community in Los Angeles, as well as to recognize the impact and role of Iranian Jewish women in society. The Shamsi Hekmat Achievement Award will be given to three outstanding Iranian Jewish women: Azadeh Farin, MD, neurosurgeon; Mojgan Rahbar, journalist, editor and anchorwoman; and Galeet Dardashti, PhD, vocalist and composer. Galeet Dardashti is the first woman to continue her family’s tradition of distinguished Persian and Jewish musicianship. She leads Divahn—a renowned all-female power-house ensemble that performs edgy interpretations of Middle Eastern Jewish music internationally. 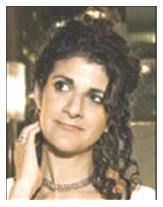 She received a Six Points Fellowship and a Hadassah-Brandeis Institute Fellowship to pursue her independent project “The Naming”, a multi-disciplinary (original music, dance, video art, monologues) work performed in Hebrew, Persian, Arabic, and Aramaic that re-imagines some of the compelling women of the Bible. Galeet holds a PhD in anthropology and completed her dissertation on the cultural politics of contemporary Middle Eastern music in Israel in 2009. Her work was supported by fellowships from Fulbright-Hays, The National Foundation for Jewish Culture, The Memorial Foundation for Jewish Culture, among others. She has published her academic work widely and offers lectures and artist/scholar-in-residencies throughout the country. She lives in New York with her husband and son. Azadeh Farin is currently chief resident and clinical instructor of neurosurgery at the Department of Neurosurgery, Keck School of Medicine, LA County-USC Medical Center. She is one of fewer than 200 female neurosurgeons in the US, less than 4% of all US neurosurgeons. Among her numerous accomplishments are dozens of publications, including first-author publications, several of which have been featured on the covers of the most prestigious peer-reviewed journals in her field. Azadeh has served as a consultant for the hit ABC television drama, Grey’s Anatomy. Mojgan Moghadam Rahbar is a journalist, writer, translator and humanitarian who has worked in the Iranian and American media for the past 20 years. Currently editor-in-chief of Shofar Magazine, the quarterly publication of the Iranian American Jewish Federation’s quarterly publication, she lives in Los Angeles with her husband and children. Congratulations to the three honorees.